It’s been a tumultuous few days for fans of the Titanfall franchise. A couple days ago, EA and Respawn surprise announced and released Apex Legends, a new free-to-play battle royale experience set in the Titanfall universe. Unfortunately, they also dropped the news that Titanfall 3 was not in development. 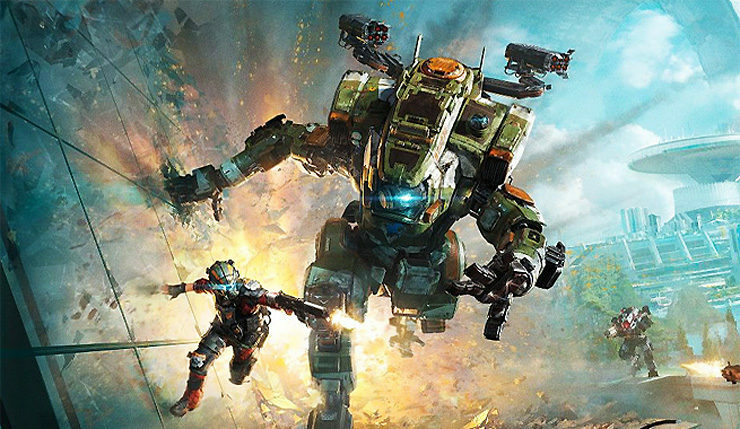 Well, turn those frowns back around Titanfall fans – Respawn Entertainment cofounder Vince Zampella recently took to Twitter to confirm that “more Titanfall” is coming sometime this year. Hmmm! A “premium game” that’s a “new twist” on the universe? So, that probably rules out a mobile spinoff or a remake/remaster. Zampella has also said it isn’t Respawn’s unannounced VR title. What kind of new take on Titanfall could Respawn be working on? I could see a turn-based/real-time strategy game working. Or maybe a platformer? One thing’s for sure – Respawn is certainly keeping busy. In addition to Apex Legends and their mystery Titanfall and VR projects, they’re also prepping Star Wars Jedi: Fallen Order for a 2019 release. In other EA-related news, the publisher also announced new games in the Need for Speed and Plants vs. Zombies franchises are on the way this year. EA’s Q3 financial results were rather disappointing – it will be interesting to see if their 2019 lineup can turn things around. Apex Legends is available right now on PC, Xbox One, and PS4.